On February 7th, Kim Barlow will rock the stage at Pathways of Hope’s Look Who’s Dancing fundraiser! 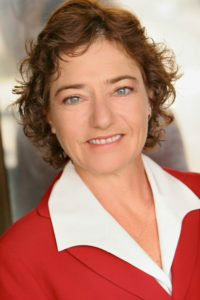 Kimberly Hall Barlow is a long-time Fullerton resident. She has three adult children, all raised in the area and graduates of Fullerton schools. She attended California State University, Fullerton, and received a B.A. in English with a minor in Business. She then attended UCLA Law School, where she was selected as Outstanding Graduate Student of the Year and graduated Order of the Coif. Kim has practiced law for 28 years, 25 of them in the municipal law firm of Jones & Mayer, where she is a Partner. She also taught at UCLA Law School for two years. In addition to service as City Attorney for a number of California cities, Kim serves as Assistant City Attorney for the City of Fullerton. Kim is on the Advisory Board of WTLC and has been a long-time supporter of other Fullerton non-profits including the Boys and Girls Club and Pathways of Hope. Kim enjoys travelling, reading, gardening, dancing and singing in a Rock ‘n Roll band, The Split. Questions about this fundraiser or Pathways of Hope’s work and mission in North OC?